Hello little unicorns! Welcome back to another week of Cassidy Montgomery looks from the upcoming mini-series “Ladies of The Lake”! I’m so excited for you all to see this fun series that I was lucky enough to be a part of. If you missed last weeks outfit, click here. I just love Cassidy’s style! 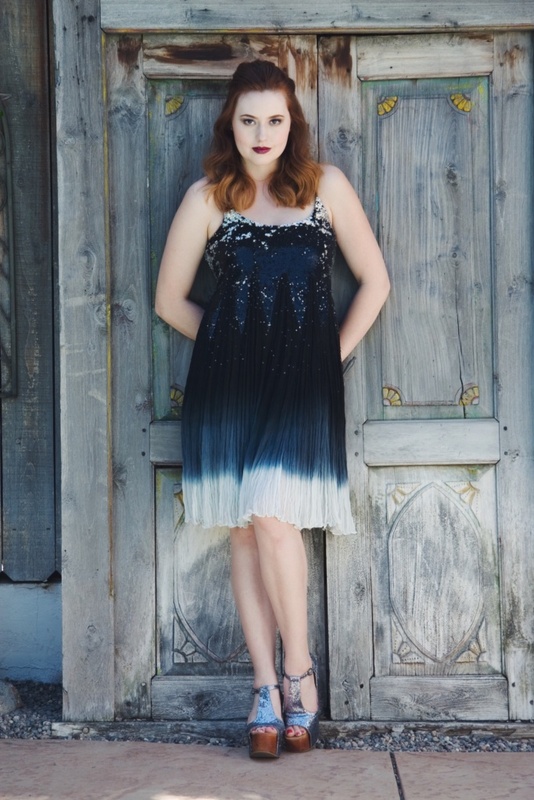 This week we’re looking at one of my favorite dresses I’ve ever worn. Fun, sparkly, flowy, yet still edgy. Check back in next Sunday for my last Cassidy look before the big “Ladies of The Lake” premiere May 15th on Amazon! Don’t forget to subscribe to the blog!